Cho Yang-ho (Hangul : 조양호; sometimes written Y. H. Cho; 8 March 1949 – 7 April 2019)   was a South Korean businessman who was the chairman and chief executive officer of Korean Air, chairman of the Hanjin Group, and a founding member of SkyTeam alliance. Born in Seoul,  Cho was the chairman of the Hanjin Group—one of the world's largest transportation conglomerates. He was named to this post in February 2003 after having served as the Group's vice chairman since 1996. He was also the Director and CEO of various subsidiary companies including Hanjin Shipping, Korea Airport Service (KAS), JungSeok Enterprise Co. and Hanjin Information Systems & Telecommunications (HIST). The Hanjin Group is a South Korean conglomerate, or chaebol. The group is a holding company that includes a shipping company, Hanjin Shipping, and Korean Air (KAL), which was acquired in 1969. In addition to his corporate responsibilities, Cho was elected vice-chairman of The Federation of Korean Industries (FKI) in 1996, and held the title of honorary consul-general to Ireland in the Republic of Korea from 1995 until his death in 2019. He was named Chairman of the Korea-French High Level Businessmen's Club in October 2000 and also served on the Board of Governors for the International Air Transport Association (IATA) after being elected in May 2001. In addition, he became chairman of the Korea-Canada Business Council in 1993 and, from 2004 to 2019, served as Chairman of the Korea Defense Industry Association. 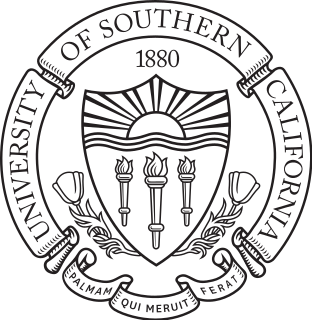 Cho formerly sat on the University of Southern California (USC) Board of Trustees for a span beginning in 1997. In addition, he served as the chairman of the board of directors at both Inha and Hankuk Aviation University. 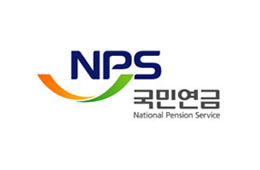 The National Pension Service of Korea is a public pension fund in South Korea. It is the third largest in the world with $430 billion in assets, and is the largest investor in South Korea. A chaebol is a large industrial conglomerate that is run and controlled by an owner or family in South Korea. A chaebol often consists of a large number of diversified affiliates, controlled by an owner whose power over the group often exceeds legal authority. The term is often used in a context similar to that of the English word "conglomerate". The term was derived from the Japanese zaibatsu, sharing a similar structure and origins. 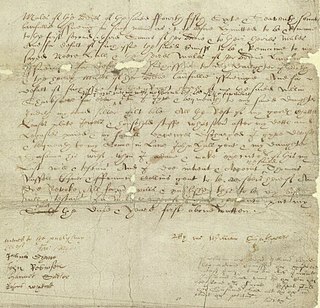 It was first used in English in 1984. There are several dozen large South Korean family-controlled corporate groups that fall under this definition. Cho was the son of Cho Choong-hoon [ ko ], the founder of Hanjin Group and head of Korean Air. After receiving a bachelor's degree in industrial engineering from Inha University in 1975, Cho received an MBA from the University of Southern California in 1979, and a doctoral degree in business administration from Inha University in 1988. Additionally in 1998, he received an honorary doctorate degree in aviation business administration from Embry-Riddle Aeronautical University, Florida. Cho was named Chairman and CEO of Korean Air in April 1999 having served as President and CEO of the airline since 1992. Prior to that, he held positions as executive vice president and chief operating officer of Korean Air. Cho began working for Korean Air as a manager in the Americas Regional Headquarters in 1974. He worked his way up the company ranks by continually adding various departments to his overall responsibilities - including maintenance, marketing, purchasing, information systems and corporate planning. 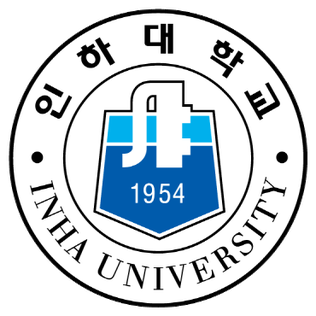 Inha University is a private research university located in Incheon, South Korea. Known traditionally for research and education in the engineering and physical sciences, the University was established by the first president of South Korea, Syngman Rhee. Inha is a Korean-American collaboration school, even in its name: the Morpheme "In" comes from the city of Incheon and "Ha" from Hawaii, USA. Started as a polytechnic university in 1954, named Inha Institute of Technology, the institute has been achieving national recognition and a strong reputation as a technological research university thereafter. Super Rookie is a 2005 South Korean television series starring Eric Mun, Han Ga-in, Oh Ji-ho, and Lee So-yeon. It aired on MBC from March 23 to May 26, 2005 on Wednesdays and Thursdays at 21:55 for 20 episodes. The workplace comedy is a satire on Korea's corporate culture and unemployment among the country's younger generation. It scored solid viewership ratings in the 20% range. Cho Seung-woo is a South Korean actor. He is best known for his leading roles in the films The Classic (2003), Marathon (2005), Tazza: The High Rollers (2006) and Inside Men (2015) as well as in the stage musicals Jekyll & Hyde, Hedwig and the Angry Inch and Man of La Mancha. He is also known for his leading roles in television dramas The King's Doctor (2012), Stranger (2017) and Life (2018). Jang Ja-yeon was a South Korean actress. She was born in Seongnam, Gyeonggi Province, South Korea. She debuted in the entertainment industry when she appeared in a television commercial in 2006. She was known for being part of the KBS television drama series Boys Over Flowers as Sunny, one of the antagonist of the series. Cha In-pyo is a South Korean actor. Bae Yong-joon is a South Korean actor and businessman. He has starred in numerous television dramas, including, notably, Winter Sonata which became a major part of the Korean Wave. Bae retired from acting after 2007, but remains active as the chairman of management agency KeyEast. The PyeongChang Organizing Committee for the 2018 Olympic & Paralympic Winter Games (POCOG) is an organisation that oversees the planning and development of the 2018 Winter Olympic and Paralympic Games. POCOG's headquarters is located in the host city of PyeongChang with two offices in Gangneung and Seoul. Cho Sung-min was a South Korean professional baseball player with the Yomiuri Giants of Japan. He also received media attention for his much-publicized marriage and divorce from actress Choi Jin-sil. Highway Star is a 2007 South Korean musical comedy film starring Cha Tae-hyun as an aspiring rocker who achieves success as a masked trot singer. Misaeng: Incomplete Life is a 2014 South Korean television series based on the webtoon series of the same title by Yoon Tae-ho. It aired on tvN from October 17 to December 20, 2014 on Fridays and Saturdays at 20:30 for 20 episodes. The nut rage incident, also referred to as nutgate, was an air rage incident that occurred on December 5, 2014, at John F. Kennedy International Airport in New York City. Korean Air vice president Heather Cho, dissatisfied with the way a flight attendant served nuts on the plane, ordered the aircraft to return to the gate before takeoff. Gapjil refers to the arrogant and authoritarian attitude or actions of people in South Korea who have positions of power over others. Gapjil is a neologism made by combining the word Gap —which is used to introduce the first party in a contract, but also refers to a party's superior status—and jil (-질), a suffix that negatively refers to particular actions. It is a phenomenon associated with the hierarchical nature of Korean society and work culture—a structure which results in the social superiority of those with higher wealth. Various incidents, such as the nut rage, have brought this phenomenon to the attention of the world media. Grand Prince is a 2018 South Korean television series starring Yoon Shi-yoon, Jin Se-yeon and Joo Sang-wook. The series aired on TV Chosun from March 3 to May 6, 2018 on Saturdays and Sundays at 22:50 (KST). Choi Min-ho is a South Korean badminton player. Choi who educated at the Icheon high school competed at the 1998 World Junior Championships, won a silver in the mixed doubles and a bronze in the boy's doubles events. At the young age, Choi clinched the senior international tournament for the first time at the 1997 Korea International in the mixed doubles event partnered with Lee Hyo-jung. He won double titles at the 1998 Sri Lanka International, winning the men's and mixed doubles event. 1 2 3 Fred A. Bernstein, Checking In: Dressing It Up Before Tearing It Down, The New York Times, June 7, 2009, Accessed June 8, 2009. 1 2 "[Who Is ?] 조양호 한진그룹 회장". The Business Post (in Korean). 4 March 2014. Retrieved 8 April 2019. ↑ Choi, Ji-hee (April 8, 2019). [속보]조양호 한진그룹 회장 별세. The Chosun Ilbo (in Korean). Chosun Ilbo Company. Retrieved April 8, 2019. ↑ Herald, The Korea (2019-04-12). "Funeral for Korean Air chief begins". www.koreaherald.com. Retrieved 2019-04-12. ↑ In-Soo Nam (February 11, 2015). "Former Korean Air Executive Faces Judgment Over 'Nut Rage' Incident". Wall Street Journal. ↑ "Seoul Jails Embattled Chairman of Korean Air". New York Times. November 12, 1999. ↑ Heekyong Yang; Hyunjoo Jin (2019-03-26). "UPDATE 2-State pension fund to oppose Korean Air CEO's re-election to board". Reuters. Retrieved 2019-04-08. ↑ "Korean Air's 'nut rage' father dies at 70". 2019-04-08. Retrieved 2019-04-08. ↑ "Korean Air executive guilty in 'nut rage' case". bbcnews.de. 12 February 2015. ↑ Park, Kyunghee (8 April 2019). "Hanjin Group's Cho Yang-ho Dies at Hospital in Los Angeles". Bloomberg. Retrieved 8 April 2019.